We specialize in kitchen and bath design. Our team has over 50 years of design expertise, so we make the process of selecting and designing your new home cabinetry something that you will enjoy. Not only do we specialize in cabinetry, but we are also the areas largest resource for countertops. Voted #1 Best Cabinet Company of Billings 6 Years In A Row! Creating cabinetry for all spaces whether it is new built construction or remodeling. I will work closely with the client and builder to ensure all aspects of the project come together smoothly. If your space needs a facelift or you a new construction project, you have come to the right place. Beyond the Box is made up of a talented group of professionals who are fully committed to providing each client with the space they truly need. Whether it's designing a new office, kitchen or bathroom, we listen to each client in order to fully understand what they need, whether it is comfort, functionality, or a combination of both. We are dedicated to helping our clients fall in love with their space. We explore every corner for creative possibilities in order to come up with the best use of existing dimensions. During the process, we work closely with each client every step of the way to make sure that our creations match their tastes. Give us a call to set up your first appointment. Established in 1958, we specialize in fine craftsmanship in wood. We build and design custom residential and commercial cabinetry and look forward to working with you. Manufacturing custom wood furniture, custom cabinetry and fine wood working is our profession. 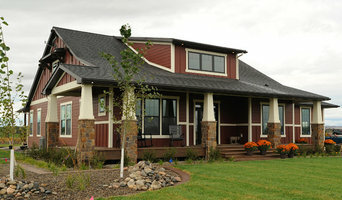 Wilson Cabinetry, Inc. was established in 1985. We are located in Billings Montana. Our client base includes Montana, Wyoming, Idaho and Washington. It is our policy to provide excellent quality and service to our clients. 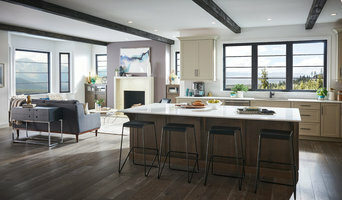 Wilson Cabinetry, Inc. offers you 140 combined years of experience. Bret Christensen holds a BS in Earth Sciences from Montana State University, but entered the cabinetry design business in 1988 after turning his hobby into a vocation. Over twenty four years of experience working in the cabinet industry has followed. 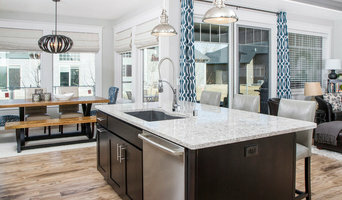 During that time he has run a custom cabinet shop, cabinet show rooms, and kitchen cabinetry design studio, as well as contributing articles to a home improvement magazine. At Calder Creek we provide cabinetry design and installation for both residential and commercial projects. All price points can be met with our product offerings. Our forte is design and excellent cabinet project management. We hold national and local design awards, and have had designs printed in juried publications. Our products can be seen in 19 western states. Mild to Wild, Cabinet Depot and Design Center offers a variety of cabinetry to fit any budget without sacrificing quality. From remodels to new construction, we offer design and installation services for any project big or small. We are a Montana business designing for Montana people. We offer all your interior needs, from Commercial to Residential Design, Remodel to New Construction! 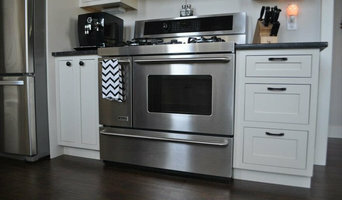 Specializing in the top cabinets and cabinetry services in the area. In addition, Molt, MT cabinetry pros can help you give worn or dated cabinets a makeover. They can replace doors; add glass inserts, decorative moldings and other details; or give cabinetry a new coat of paint or specialty finish. Your cabinetry professional might work closely with a Montana kitchen designer, builder, remodeling contractor or interior designer. Here are some related professionals and vendors to complement the work of cabinets & cabinetry: Kitchen & Bath Designers, Kitchen & Bath Remodelers, Interior Designers & Decorators, Closet Designers and Professional Organizers, Woodworkers & Carpenters. Find a cabinetry professional on Houzz. Narrow your search in the Professionals section of the website to Molt, MT cabinets and cabinetry. You may also look through Montana photos to find examples of cabinets that you like, then contact the cabinetry professional who worked on them.